People are watching more and more streaming content, with year-over-year time spent watching streams growing almost 22% on desktops and 48% on mobiles as outlined in our Video Trends to Look for in 2017 webinar. Viewers like to watch more of a good thing too. This can be for education purposes, entertainment or discovering more about a product or topic. Organizing your video assets into easy-to-find video playlists can aid in more content being consumed, and take advantage of this growth in time devoted to streaming content. 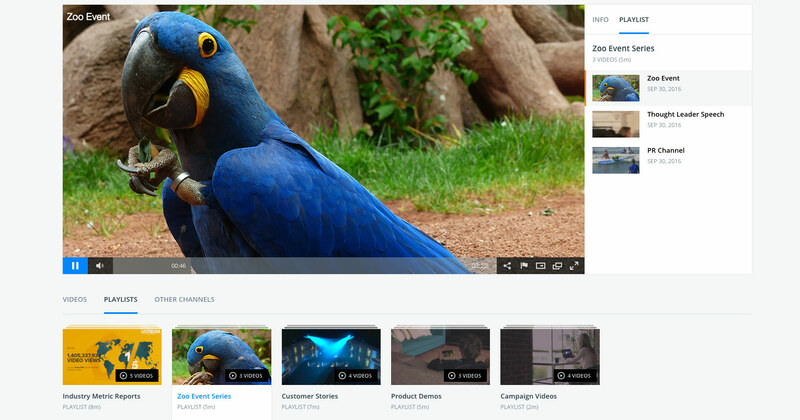 To help in navigating video assets, IBM Watson Media has added a playlist feature. 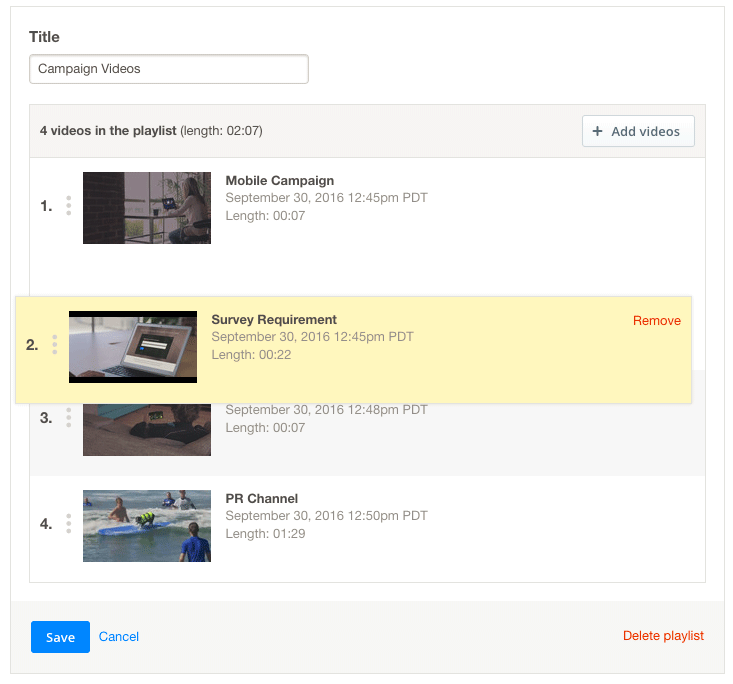 This enables content owners to create numerous playlists associated with on-demand videos. These videos can range from professionally edited assets to auto archives of earlier live streams. A video playlist is a collection of videos which are grouped together for playback. They are sorted in a particular order, although don’t force the viewer to watch content in that same order. This means a viewer can skip videos that interest them less or jump ahead to video content that interests them more. To make a playlist, a content owner simply has to click on an existing channel inside their account and go to the Playlist option. There will be an option to create a new playlist on this page, which requires giving it a name. After naming the list, the content owner next chooses the videos to add to the playlist. Due to the fact that accounts can have hundreds if not thousands of videos, a search option has been added for easier location of assets. The search will locate any asset on the account that matches the word or phrase. For example, a search for “Demo” would pull up a video called ‘User Experience Demo’. However, a search for “User Demo” would not pull up the same asset as the two words do not appear in that sequential order. By default, even after playlists have been created, they are turned off for a channel. A prompt is provided notifying account owners of this, making it easy to turn them on or to continue creating playlists in a “staging-like environment” before turning them on for viewers. Once enabled, though, a new tab is added to a channel page called “Playlists”. This listing allows viewers to browse curated playlists created by account administrators and channel managers. Once a playlist is selected, a new “Playlist” listing appears to the right of the player. The listing states the name of the playlist, number of videos, total duration and cites what videos are inside. This allows viewers to see what’s coming up, when it was added and the ability to switch to a video of their choosing in the playlist. When a video in the playlist is done, the next video will immediately start to play. Playlists can be updated and maintained by the account owners and channel managers. Have a new video in a playlist series? That can be quickly added to the existing playlist. Furthermore, editing a playlist causes it to appear at the front of the playlist selection. This is because playlists on channel pages are ordered by management activity. So a newly created or edited playlist will appear first, while the last playlist to be either created or edited will appear at the end. 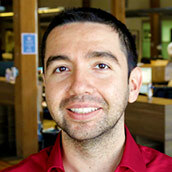 The ability to order videos is seen to the right, and is done through a drag and drop approach. It should be noted that the thumbnail is very important to the Playlist feature. The front video’s thumbnail is used to represent the playlist in the new tab while the individual thumbnails appear in the sidebar as a preview of what is coming up and allowing viewers to select the video asset they want to watch. However, the thumbnails are not controlled directly by the playlist feature, but are rather adopted from the individual on-demand file’s thumbnail. 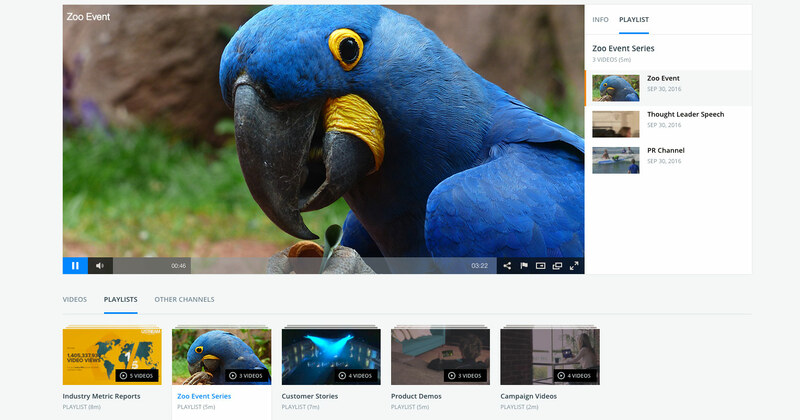 Read more about the IBM Watson Media Video Thumbnail Generator here. Playlists are simple to update and offer a variety of use cases for both external and internal facing video assets. A variety of different playlists, from one to many, can be added to a channel. Furthermore, each has a unique URL associated with it, found in the URL bar of a browser, making it easy to send a playlist to a group of viewers as well. Videos can also be inside multiple playlists as well, allowing for overlap if assets are suited for multiple segmentation strategies. Each playlist can be up to 200 videos long, opening many possibilities for the type of playlist you might create. Here are some use cases, denoted on if this is for an external or internal audience. Please note that the external version of the playlist is currently available. The internal version, for Streaming Manager for Enterprise and Align, is coming soon. Are you a larger enterprise with a variety of products to your name? Chances are the products will appeal to different audiences and have unique content created for them. Playlists make it easy to segment this content, allowing viewers to find the video asset that is most relevant to their use case. If a video is relevant to multiple products, though, it can always be added to several different playlists as well. Went to a trade show and filmed a lot of content? Ran your own multi-day event? That content can be grouped together, making it easy to find and easy to see just how much video content was generated by the event. This can be done by event or by event series. For example, you might have a “Company Nexus Event” or be more granular and have a “Company Nexus Event 2017” playlist. Regularly employee a thought leader to create your content? An individual who might have a following of their own, ranging from a CEO to an expert on a subject, might benefit from having their content grouped by that individual. This is an area where having videos in multiple playlists can be advantageous, as a thought leader might give a presentation at a trade show. That video could then exist in both a playlist devoted to that speaker but also one covering all talks that happened at that show as well. Have a series of videos around a topic? Rather than have users hunt for them, playlists allow for an easy segmentation of these assets together. As new videos are created in the series they can be quickly added. If a video becomes outdated, it can be quickly unpublished, removing it across this and any other playlist. Running human resources for your company? A training video might be hyper relevant to one department, and not applicable to another. Through using a playlist and naming them accordingly, you can help guide employees so they know what videos they should be watching. Thanks to viewer tracking, too, you can see which of these assets inside the playlist was most valuable or for compliance reasons you can make sure they watched them all the way through. IBM Waton Media continues to provide options for ways to engage viewers and give them more options in how they watch and interact with content. The video playlist feature is a great way for viewers to access suggested content, improving their experience and speed of accessing those video assets. 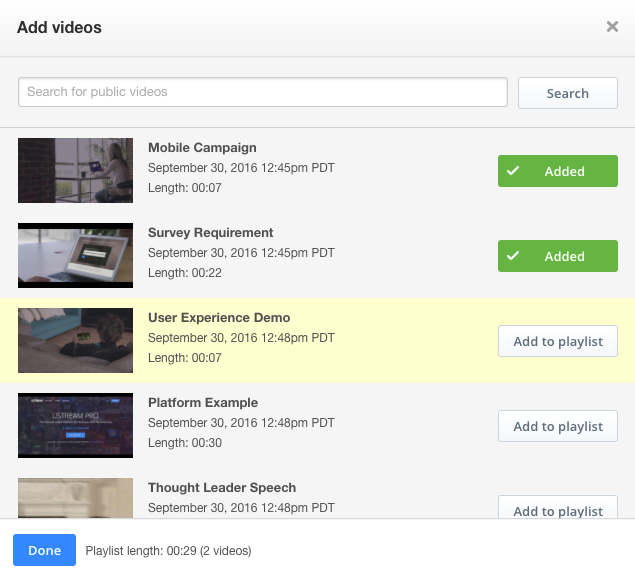 Interested in using this feature to build out your video playlist? 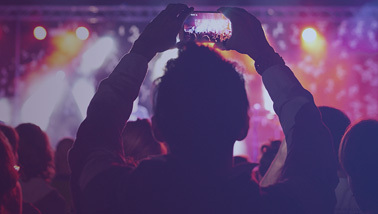 Try out IBM’s video streaming offerings and begin effectively leveraging your video library to create intelligent, viewer selectable content collections.